If you have a bulldog, you know how important it is to be comfortable. Join us to shop the incredible, comfortable line of LuLaRoe clothing — and help the bulldogs! Angie and Brenna are great friends of GEBR and are opening their shop and sharing the love! 10% of all sales will go to support the pups in rescue — and you go home with amazing clothes for yourself or great gifts for the holidays! 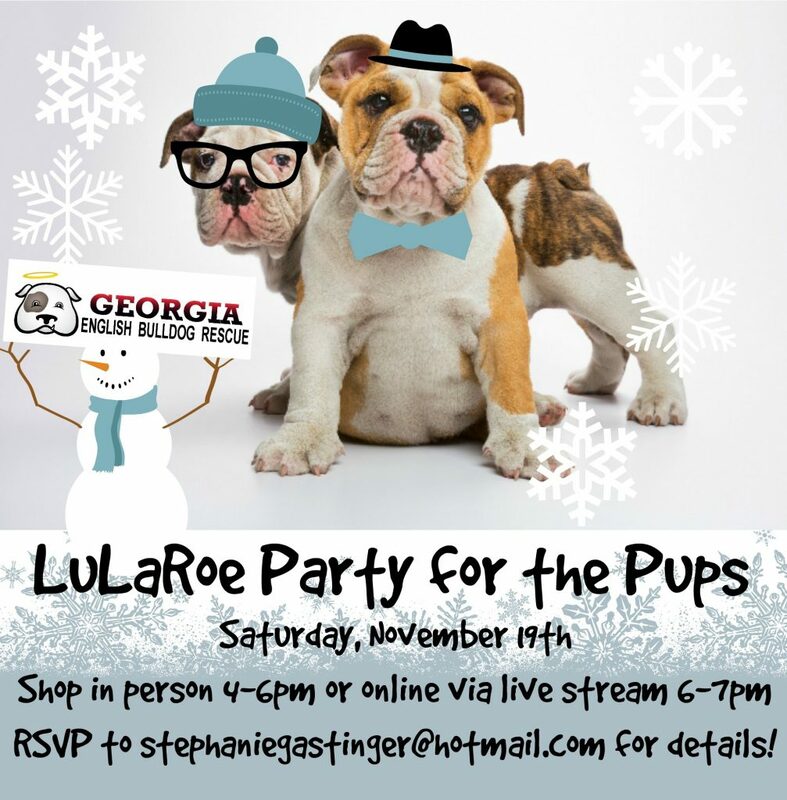 Shop in person in their in-home Boutique in Smyrna (4-6pm) or via the LIVE streaming FaceBook sale (6-7pm). RSVP to stephaniegastinger@hotmail.com for details!